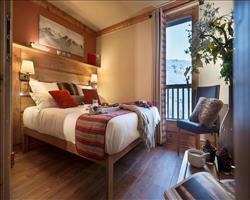 The ultimate guide to Les Menuires ski holidays. Couples, groups and families alike have a brilliant time here as one of the cheaper destinations in the 3 Valleys with efficient access to the different resorts. 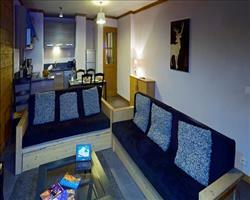 Convenience is key in this village with doorstep skiing and excellent facilities to cater for all types and tastes. 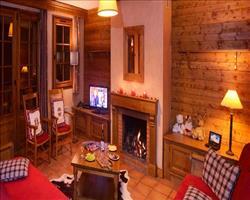 Wonderful powder awaits – vive Les Menuires! Together with Saint Martin De Belleville and Val Thorens, Les Menuires (say it Lay-Men-Weer) is part of the Vallée des Belleville and probably the cheapest base for the glorious skiing of the 3 Valleys. It’s true, this purpose-built resort’s more focussed on the practical than the aesthetic… but it’s made a valiant effort to shrug off the ‘ugly duckling’ rep - fitting a bit of a facelift in time for the Albertville Olympics. Split into various ‘quarters’ (linked by walking paths, ski runs, shuttle buses and lifts), Les Bruyères or Reberty have the sloping roofs and wood-cladding the Alps are famed for, while the original centre of town, La Croisette’s huddled round a wooden steeple that’s magnificent when lit up at night. Wherever you end up: slopes weave in and out all over the shop, so you don’t have to go through hell and high water to get out on the piste! Les Men‘s been knighted by the tourist board with a shining Family Plus label because it has terrific offerings for sprogs, including clubs, ski schools, snowparks tobogganing, husky rides and, the pièce, the “Boules de Notes” children’s festival. You’ve a tough choice ahead at the lift office: with a local ski pass, you’ll gain entry to 160km of piste, featuring some of the finest runs in the 3 Valleys. Beginners may want to hold their horses - six free lifts serve a clique of nursery runs to get you warmed up, plus there are often cheaper beginner passes. Those looking to expand their horizons should invest in a Belleville Valley pass and make their way to the hulking, snow-sure slopes of Val Thorens for a massive 300km. Once you’ve gone that far, you might want to go the whole hog with 3 Valleys pass. Wielding one of those, 600km of piste’s all yours, extending all the way to Courchevel and Meribel. View our detailed Les Menuires snow forecast or snow report and see all live webcams, piste maps, road and travel maps and lift pass prices. For a picture of historic snow conditions see the snow depths month by month with our Les Menuires snow history. The resort has aimed to provide a wide variety for all abilities – and the proof is in the pudding! The opportunities are outstanding for skiers and snowboarders, but you would expect no less considering it is a part of the largest ski area in the world. Novices will find five free lifts either end of the resort for getting to grips on gentle little green runs, and longer greens such as La Violette at the top of the gondola from La Croisette. With a healthy mix of reds and blue runs covering the vast majority of the slopes across the valleys, the skiing and snowboarding is absolutely brilliant for flourishing beginners and intermediates. Long cruising runs up to 8km in length reach right across the mountains for some spectacular sights and carving action. Perhaps the best options are the descents from the Col De La Chambre, such as the long and winding Alpage. Experts will appreciate the steep black runs down from the Pointe De La Masse for their technical challenge and north facing nature, meaning great snow conditions throughout the season. The Dame Blanche is a real challenge, arguably the toughest slope on resort, or the Lac Noir and Masse are known for developing some serious moguls. Off-piste opportunities are naturally vast considering the expansive nature of the valleys, and cross country fans can find 28km worth of marked trails to cover. There are two excellent snowparks for all ages – the BK Park features boarder-cross, rails, tables and a quarter pipe, separated into different difficulties for novices to pros. The Walibi Gliss is a cartoon themed fun park with timed slalom runs, more boardercross racing tracks and original musical challenges – great for youngsters! Go crazy and try out your skills without worrying about your landing on the big air bag at the bottom of La Croisette. 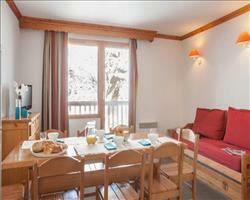 End a day of skiing on the large sun terrace in L’Oisans and sit down in the sunshine with a jug of beer. Kick back with a cocktail or shoot some pool in the cosy Piano Bar Le Kube. Sports games are known to be aired on the TVs in venues like L’Original Café. If you ski over to Val Thorens be sure to go for some drinks at the famous Folie Douce. Those looking for some late night action have two night clubs to choose between; Le New Pop in La Croisette or Le Leeberty in Les Bruyères - an intimate underground bar with seats fashioned like ski lifts! Stop for lunch at classic mountain restaurant Les Sonnailles. La Ferme is also popular for serving a good mix of tasty meals. 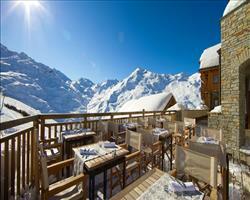 You’ll find lots of pizzerias such as La Perdrix Blanche in La Croisette or L' Igloo in Reberty. Gourmet food and Savoyard specialties can be found in Le K - great for special occasions. Non-skiers are certainly not short of things to do here! There are four toboggan runs– the Roc’n Bob is a 4km long run down the slopes, for a vertical descent of 450m back down to town. Mountain bikers needn’t wait for summer as they get stuck into the snow down an 8km long reserved piste for an extreme alternative to the skis! 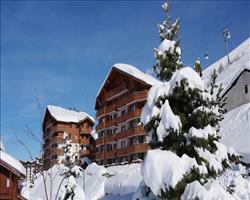 Other potentials include snow shoeing, paragliding and skidooing. Indoor entertainment is found in the modern health centres at La Croisette and Les Bruyères, well kitted out with swimming pools, wellness facilities, gym, sports courts and a bouncy fun park for kids. There is also a cinema in Les Bruyères. When is the best time to ski Les Menuires? Les Menuires has a fair share of lovely sunny slopes, and the best conditions can usually be found earlier in the season during January and February when snow is aided by lower temperatures. However, with top altitudes at soaring peaks of 2850m, the tourist office has been confident enough to offer their own ‘Snow Guarantee’ all season. For late season skiing get the lifts up the Col de la Chambre and ski over to the snow-sure glacial areas of Val Thorens to find the very best snow in Europe’s highest resort. A direct link to the huge 3 Valleys and slopes facing all directions means there is never really a bad time to make your way over. 411 snow cannons heavily cover the slopes above the resort which will keep things together in case there are delayed deliveries of fresh powder. We love Les Menuires for families and it even has the Famille Plus label to prove it. Some hotels offer great childcare clubs and facilities – ask us about these if they’ll make your family getaway easier. The Hotel Neige et Ciel is a relaxed stay and you can ski virtually to the door which makes it brilliant for a hassle-free family holiday. 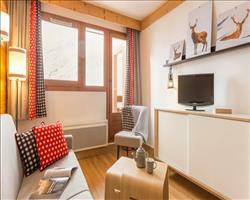 Self-catered apartments cut down the cost - Le Chalet du Mont Vallon offers chalet style apartments in Les Bruyères close to the local amenities, or Le Hameau des Airelles Apartments in Preyerand are right by the Bettaix lift entrance. The resort has accredited ski schools which will look after children of all ages whilst parents enjoy some time off in the mountains. Groups of kids learn to ski on the safe little enclosed green runs fitted with magic carpet lifts to make things easy. Five of the chairlifts from town have been reinforced with specifically designed rails to keep little ones safe on their journey up. Teens are taken up the mountain in groups too, where they can try out race tracks, slalom runs and freestyling in the B.K Park and Walibi Gliss snowparks. There are four toboggan runs across the villages which all ages will love – the Roc’n Bob is a 4km long run to town bound to go down a storm! There’s also an ice rink in Bruyeres and the sports centre in La Croisette features a bouncy fun park to play in. With packages covering flights and transfers you can organise your trip in one easy booking. We’ve got cheap child rates for families available – give our holiday specialists a call and see what deals we can offer you. 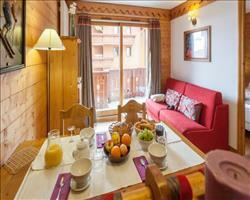 Les Menuires is a very good choice for groups looking to ski the 3 Valleys for less. It’s a part of the largest ski area in the world so there is more than enough terrain to keep all abilities entertained. As for accommodation, big hotels with plenty of vacancies for large bookings are a good option for groups. With B&B, half-board or full-board options, you can all meet up to dine on delicacies prepared by the in-house chefs. The Hotel Les Bruyères presents amazing mountain views with direct access to the lifts, or the Hotel Pelvoux offers doorstep skiing from the resort centre. 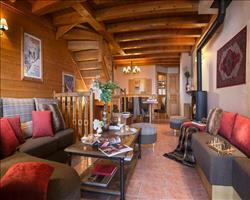 Traditional ski enthusiasts love staying in chalets for a more intimate alternative – take a look at the Chalet Reberty. Self-catered apartments can work for groups too – check out the restaurants in town or prepare your meals together and save money. 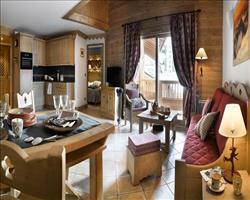 Les Valmonts Apartments offer doorstep skiing in Les Bruyères quarter just a short walk from the gondola and shops. For any non-skiers tagging along there’s plenty to get up to – lots of our accommodation features wellness facilities and the sports centres in the resort offer relaxing spa treatments to keep non-skiers occupied. Excitement can be found on the slopes at the toboggan run – race your mates down the 4km Roc’n Bob. You can also venture off on a snowshoeing trek to enjoy the stunning surroundings. 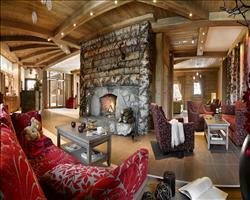 In terms of après there are some great bars to enjoy a drink at happy hour. Stop for a drink up the mountain on the sun terrace at Les 4 Vents. L’Original Café is a good choice for relaxing with a quiet sherry. If you fancy a night out then the New Pop is a great discothèque for letting your hair down and dancing to cheesy tunes! Our best packages include flights and transfers to keep things simple. We’ve got great deals below – ask about our group discounts to save even more. "Not amazing itself, but cheap way to enjoy awsome 3 valleys"
Les Menuires is a very small resort and to enjoy it, you have to buy the lift pass supplement so you can enjoy the skiing in the other resorts. We had a big group of 6 of us and upgraded the lift pass for the whole 3 valleys which gives you 600 odd km of pistes and everything from Les Menuires over to Courchevel. As a resort by itself, Les Menuires is not very appealing, it’s very small with 60-80km of piste which is not much at all unless you’re a beginner (if you’re intermediate to advanced, you definitely need the 3 Valleys pass). However it does put you on the doorstep of the 3 Valleys and the area is really good, definitely on par with St Anton which we’ve been to. The Mont Vallon area is very good with lots of nice, long, easy blues and long reds where you can just get on your board and cruise. We went to a couple of points along the 3 Valleys including the Panoramic course where you can see all three valleys and the views from there are great (although there’s a lethal black run there that I wouldn’t recommend!). We had light snowfall over the week which meant an inch/inch and a half on the pistes twice a week, so we had a little bit of powder. The higher up you go the better the snow. A useful thing to know is that if you are using the whole area pass, you need to be able to get back to the last lift or you have to get a taxi (and taxi journeys here are the cost of a holiday in themselves!). "Would stay in LM again"
I liked Les Menuires, it’s out of the way of the bigger resorts so you aren’t getting bombarded all the time. 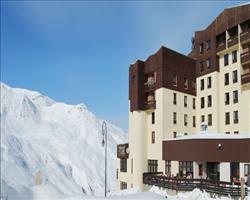 It has good lift access into the 3 Valleys and there was also a free bus shuttle to take you around. Enjoyed snowboarding on-piste as conditions were good; there wasn’t a lot of off-piste but it was March – in January it would be a lot better. The town centre has loads of good bars and restaurants. Can’t remember the name but there’s one bar in the resort that I’d definitely recommend, it’s where all the chalet guys go off on a Wednesday and was pretty good fun. All in all, I’d go back. "if you're there for the skiing it’s great"
As a resort Les Menuires isn’t that nice but as access to the 3 Valleys ski area it’s spot on. We booked late and luckily had the last week of good snow. Because Les Menuires is next to Val Thorens, we could go high every time for the best snow conditions. To get to Val Thorens, you go up to the main area where all the lifts meet and go down from there. The top two thirds of the mountain were fantastic all the time but the bottom third was either hard ice or porridge. At the end of the week the links were starting to die and the ski down at 4:30pm was hard as the sun had been on the lower slopes all day – even though they’d been bashed in the morning they were all wet and it took a lot of effort to try and stay above and not sink in. If you want a big nightlife this isn’t the place to go, but we knew what to expect and were there to ski, so it was perfect. We only went into Les Menuires a couple of times (we bumped into some friends who were staying there) - it’s a bit of a 1970’s European concrete resort – I much prefer Montgenevre which is still quite traditional. "Fantastic week, good family resort but not for foodies"
Les Menuires is OK, I’ve skied the 3 Valleys quite a few times and you can’t go wrong with the 3 Valleys! If you’re going with children this resort is great, I probably wouldn’t come on a different kind of holiday. I definitely wouldn’t recommend Les Menuires if you want gourmet, there aren’t many restaurants and the ones you do have are quite tired. If you have kids in ski school, book lessons with Prosneige rather than ESF – they’re excellent and I can’t recommend them enough. They have no more than 10 children in a group lesson - we were there at half term and my son was in a group of 7. The instructors were lovely and would bend over backwards to help you. I’d definitely recommend buying sledges if you have a child. The two nursery slopes can be used for sledging at certain times and there’s an actual sledding slope next to one of the nursery slopes where you can use the magic carpet to go back up. They made a snow castle there which the children could climb around which was great. This is where we went skiing for the very first time and we’ve been back since. We like the access to the Les Trois Vallées and it’s quite nice in the actual resort with plenty of restaurants, shops and bars etc. There’s lots of different skiing available which suited us well as we’re a mixture of medium and advanced skiers. "A cold week in Les Men!" 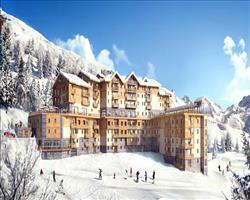 A good, fairly typical French mountain resort. It’s quite open and cold (we had temperatures of -23 to -24) so if I went again I think I would go slightly later or much earlier in the season. If we’d had tree lined runs with those temperatures, it would have been nicer! "Huge ski area to explore"
The town was fine, there are some restaurants and shops. We didn’t do much there. We preferred our holiday to Val d’Isere/Tignes (where we went to more recently), but I knew the 3 Valleys from before and it’s a good ski area. People go for the après ski but that’s not why we were there, we went for the skiing. There were no queues at all. The weather was reasonable while we were there. I could ski all over, go over to Courchevel and all the different areas – it’s well worth visiting the smaller parts of the 3 Valleys like St. Martin de Belleville.